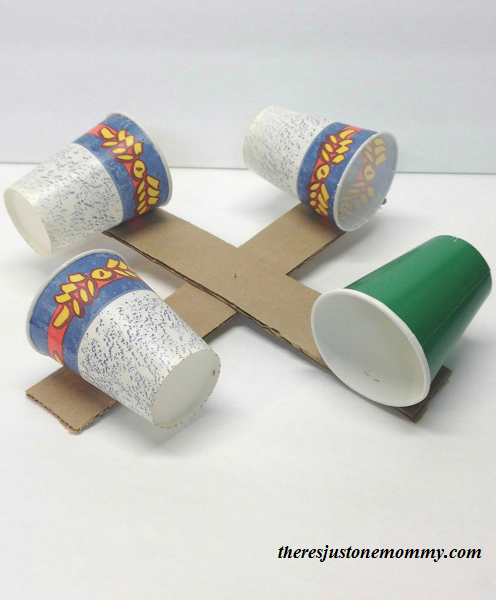 When it comes to hands-on learning, kids of all ages absolutely love STEM activities where they get to engineer and then use the item. This spring we have been studying the weather each day. 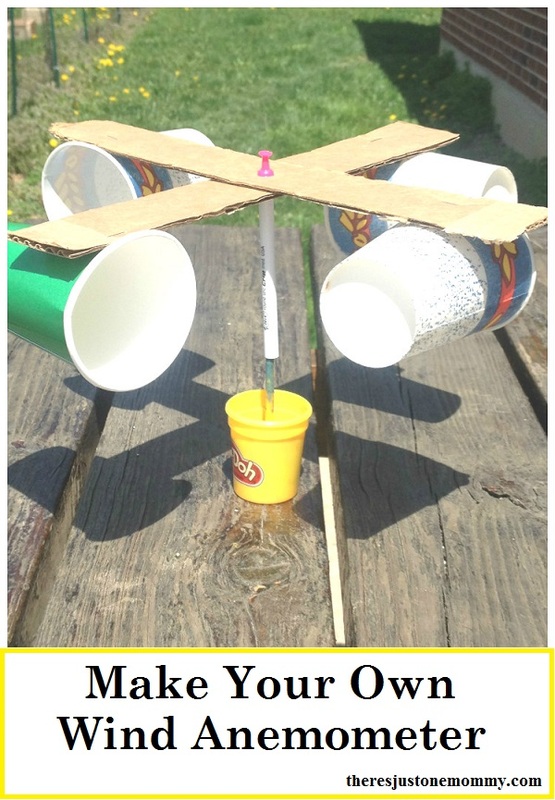 The kids had tons of fun with this make your own wind anemometer activity. Last week we had tons of fun studying clouds. Be sure to check out how we made a cloud in a jar and our super simple rain cloud activity. 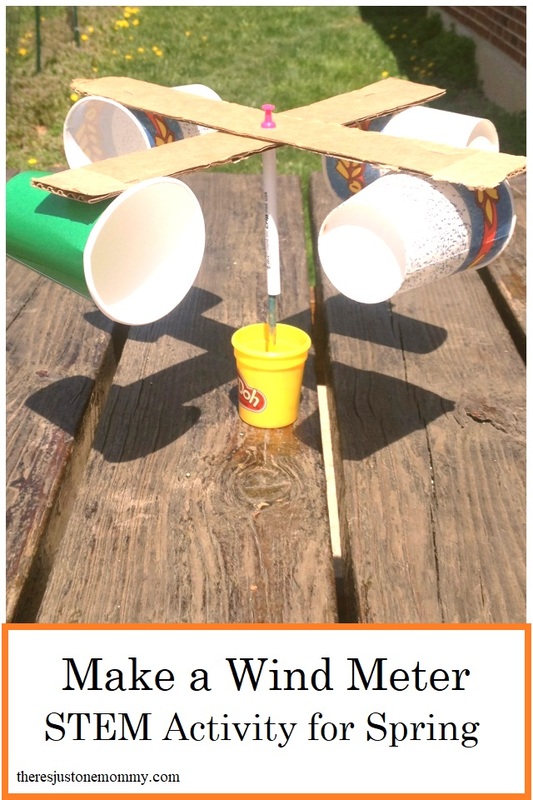 This week we continued the weather unit activities by studying the wind and this DIY Wind Meter was perfect! Glue your 2 pieces of cardboard together as seen in the picture below. To make the part that our anemometer will spin on, I took apart an old pen. The empty pen case fits nicely over the end of the paint brush, with enough room to spin when the wind blows. Next, use the thumbtack to fasten the cardboard cross to the end of the pen case. Make sure the thumbtack is as close to the center of the cardboard as possible! We used a can of Play-Doh to hold our wind meter up. You could also use a lump of clay. 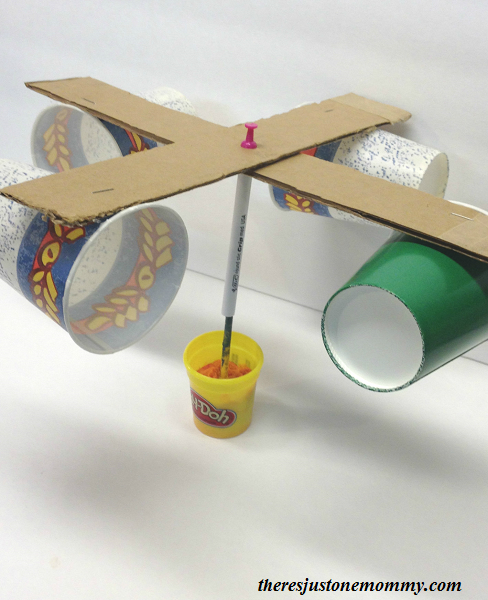 Once your DIY wind anemometer is built, you can take it outside to measure the wind. We set ours up on the picnic table. We have been having fun using our homemade wind meter to compare the wind speeds each day this week for our weather unit. We are in the middle of our Weather Unit. This looks like fun. We will give it a try.